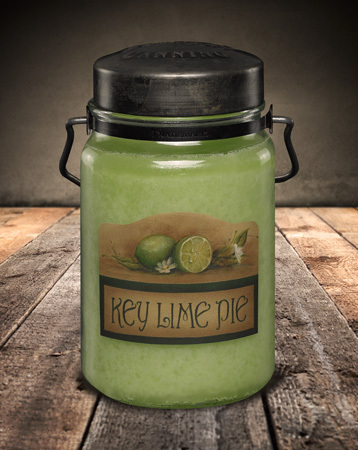 Key Lime Pie 26 oz. About this Fragrance ~ Straight from the Florida Keys (well, McCall's! ), tart key limes are combined with sweetened condensed milk to create a perfect creamy thick citrus pie with a classic flakey crust. Fresh, light and perfectly summery!